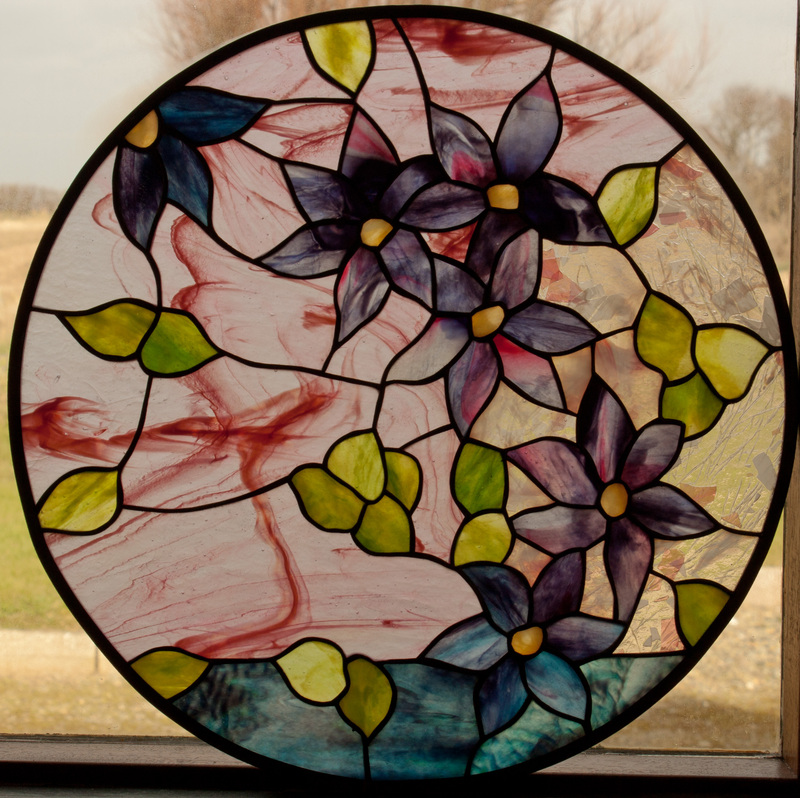 Moody Iris stained glass pattern. 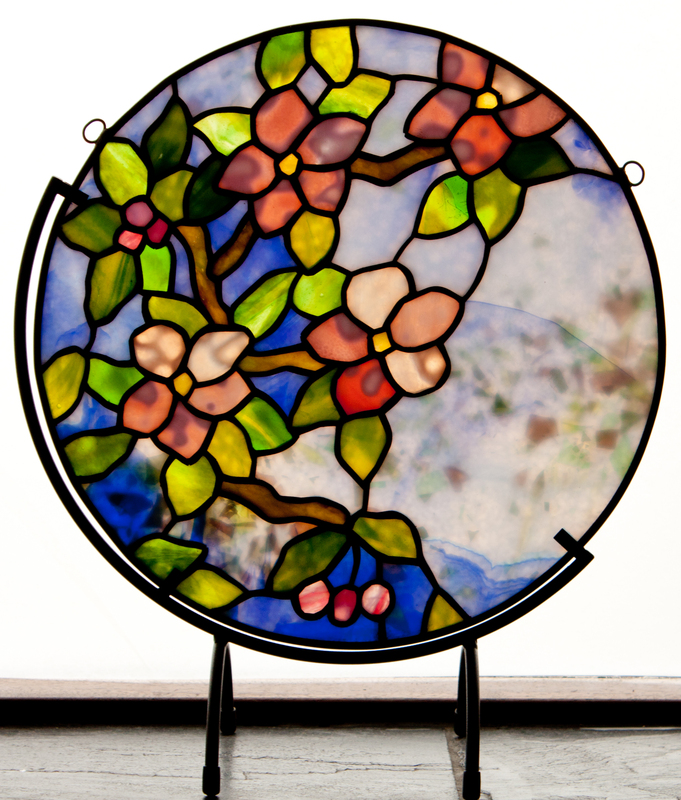 This exhibition piece begins the story of Kennedy Original Stained Glass. As with many of our pieces, David derives inspiration from the flowers growing in our garden. We salvaged and restored some old pitch pine gothic frames and added a heavy oak base.